The Storm Wiggle Wart is great for targeting finicky fish of any species with a running depth of 7-18ft. It has legendary side-to-side hard searching action at all speeds with a loud rattle and just the right patterns for any condition. 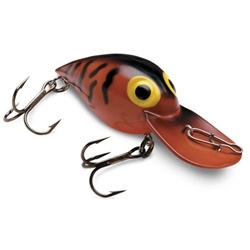 The Wiggle Wart is 2 inches in length, 3/8oz in weight and features premium #4 VMC® super sharp hooks.